The Bishop regrets inviting the Dean to his birthday dinner. Stars William Mervyn. From October 1972. The Bishop regrets inviting the Dean to his birthday dinner. 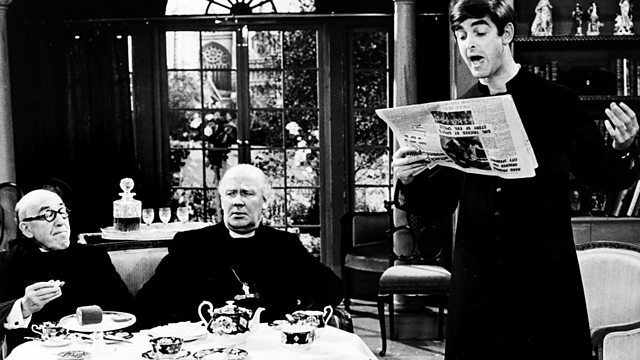 Starring Robertson Hare as the Archdeacon, William Mervyn as the Bishop, Jonathan Cecil as Bishop's Chaplain - the Reverend Mervyn Noote and John Barron as the Dean. With Joan Sanderson as Mrs Pugh-Critchley. First broadcast on BBC Radio 4 in October 1972.